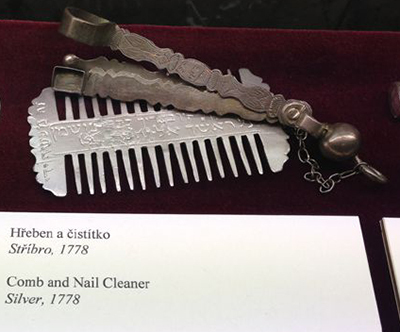 Photo: Jewish Museum of Prague. 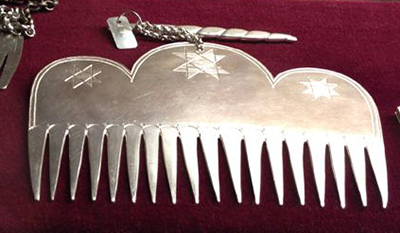 Strict adherence to taharah is performed by burial societies called chevra kadisha. It is considered to be a great honor to do this and the last kindness, for you can never be thanked. The purification ritual has three parts: Washing the person, Showering the person, and Dressing the person. 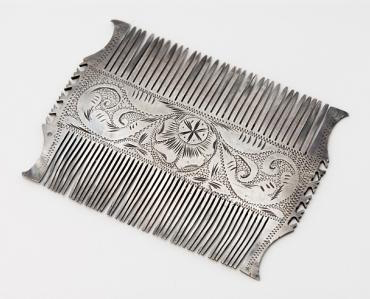 The comb plays an important role in the first and last parts. The initial washing removes all artificial adornment. 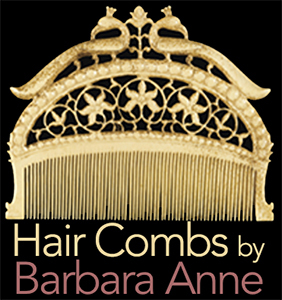 As this is done, fingernails are cut and the hair is combed. 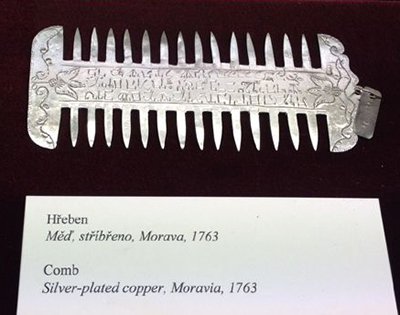 This explains why fingernail instruments are attached to the burial combs seen in the Jewish Museum of Prague. 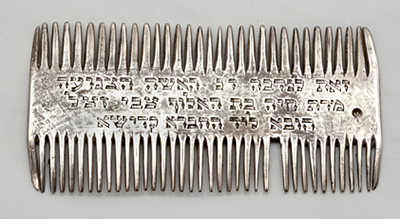 and this silver burial comb from the Sydney Jewish Museum. Once the body is purified, the person is put in the coffin and dressed in tachrichim, white-cotton-shroud garments that symbolize the costume of Kohen Gadol, or High Priests during Israel’s First and Second Temple periods. 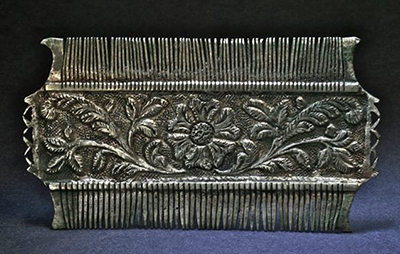 The comb is used once again to set and dress the hair. 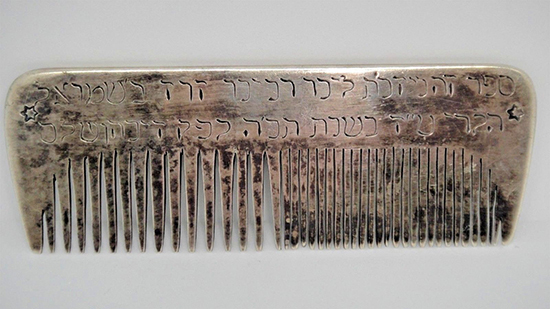 This piece is from the Michael Steinhart Judaica Collection. Breslau, 1868. 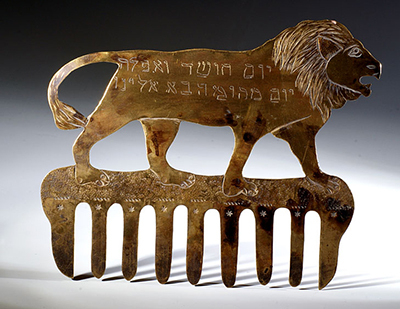 Inscription: This is a gift of the treasured woman, madam Haya, daughter of the leader Tzvi, for use by the Hevra Kadisha. 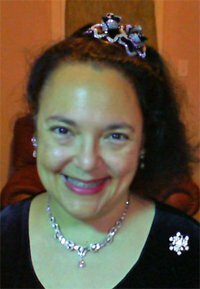 When the person is dressed, the casket is closed.